I hope you guys are liking the stuffs on my blog. Here is an another nail art for you people. Girls are you looking for an easy yet beautiful nail art? You are visiting the perfect place. 1. Remove the previous paint by cleaning the nail paint with thinner/ nail paint remover/ acetone properly to get good transparency on your nails. 3. Wait for some time to let it dry. 4. 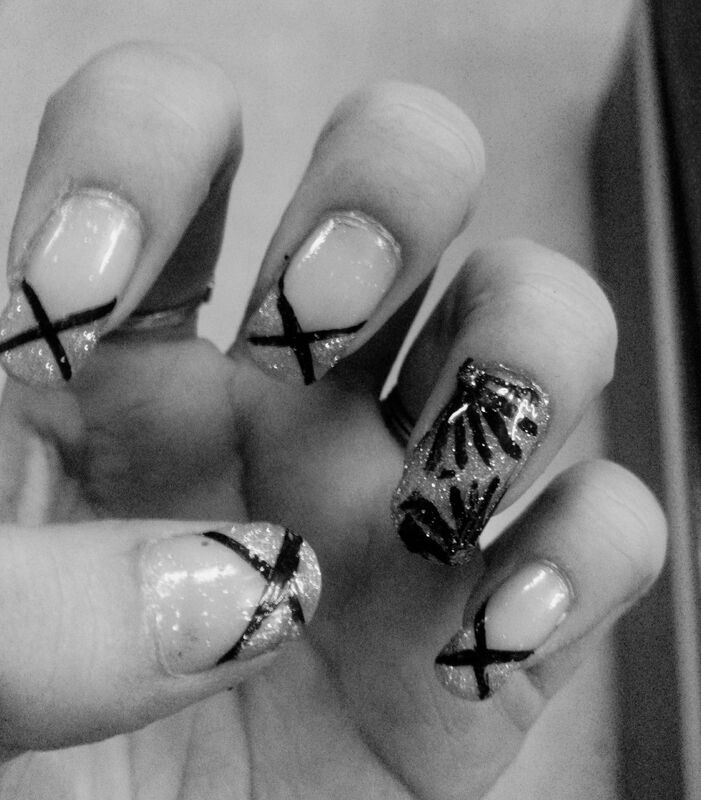 Make an X on the upper half of your nail except your ring finger as you can see in the image. 5. This X will create 3 small triangles. Fill sparkle in them. 6. Apply sparkle on your ring finger and draw flowers as shown in the figure. NOTE: Use tooth pick if u don't have nail art brush. This may sound funny but you can also use liner if you are good at using it. Liner won't spread after applying transparent nail paint.